Internet Marketing is More then just SEO and PPC Marketing! 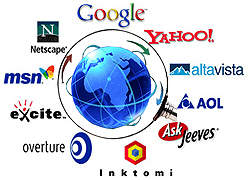 Internet Marketing today is about much more then just Search Engine Optimization and Pay Per Click marketing. What about establishing a drip marketing and/or viral marketing campaign for your new and returning visitors? An effective newsletter campaign ensures not only that you get new visitors but that you can keep sending those visitors information when you have which keeps them coming back? Do you want to become an authority in your industry? Do you want to become a name people can trust? A blog is a fantastic, formal/informal way to communicate your latest thoughts, industry trends and information to visitors that keep coming to your site! Are you getting traffic to your site but can’t seem to convert it? Perhaps its time to employ your favorite internet marketing company to either rebuild or redesign your website so that it is more conversion friendly! A good full service internet marketing company will have a system and process they follow to ensure they gather all of the ‘calls to action’, visitor behaviour and elements that will keep your traffic coming back for more. An effective conversion friendly website can make a big difference for your company and its revenue generation opportunities. 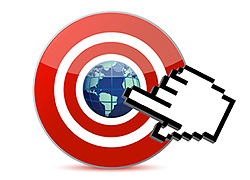 Of course, the beauty of internet marketing is that it is all very trackable. By employing a web analytics system (such as Google Analytics or Urchin) and/or a lead management system (which TechWyse has developed!) we are able to see exactly what your traffic is doing, where it is going on your site and how often they fill out forms on your site. As a company that focuses on internet marketing for all of its waking hours, I certainly give a ringing endorsement to carrying out these types of services for your own company! If you aren’t one of our clients and would like more information feel free to email us or call 1.866.410.7090! Without tracking you are walking in the dark. You will never know where your traffic is coming from, what pages they are visiting, what links they click the most and what makes people buy something. Tracking and testing is what makes a company successful in the long run. How could you hope to sell more when you don’t truly know anything about your potential customer? 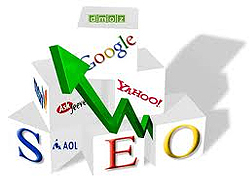 I think too that get ting traffic through SEO or through another traffic method is not the end of the game. While it is a very important thing (if not the most important), it is also necessary to be able to convert the visitors into sales for example. Tracking is something that could help a business determine what works or what does not work. However, because the part that seems to be the most difficult is getting traffic, I think that I understand why a lot of focus is placed on this discipline.